We revised our list of best scuba diving regulators on the market in 2019. How to buy a scuba regulator? Manufactured by the world’s most iconic brand of diving equipment, the MK25/S600 is a first and second stage scuba regulator package made by Scubapro that has been out in the market since 2013. While there are several scubapro regulator series in the market, the MK25/S600 combo regulator set really stands out in this unique niche of sport for several reasons. First, the MK25/S600 is a fully balanced regulator that will give you high breathing performance regardless of depth, temperature and pressure. As for the 1st stage, the MK25 is a piston-balanced first stage regulator with a very high flow rate yet giving you a persistent steady flow of air making it very good in terms of consistency. While the MK25 is environmentally sealed, it has been redesigned with coatings and finishings to the internal parts preventing the possibility of an accidental free-flow. This property of the MK25 1st stage regulator has become the preferred 1st stage when you go diving in extreme temperature like ice diving. The internal parts does not freeze up and malfunction even when temperature reaches below the freezing point. As to the pressure ports, it has 5 low pressure ports. But what is significant with the MK25 is that it has 2 high pressure ports making it a highly versatile 1st stage regulator where it does not compromise the way you set-up your submersible pressure gauge and other pressure related instruments. It is also being manufactured either as having a DIN valve or a yoke valve, either ways, it will suit any configuration you want it to be. With regards to the second stage S600 regulator, this system is considered a high performance breathing regulator that has a feature similar to the its 1st stage MK25. It’s balanced system filled with an anti-freeze coating will give ambient breathing air even in extreme water temperature. Based on the re-modelling of the S600 2nd stage regulator, it has now an Inhalation control that regulates breathing resistance by turning the control bezel on the side. By turning the control bezel, it basically decreases or increases the breathing resistance of the S600 2nd stage regulator where you can adjust it base on your own personal breathing resistance rate. Another re-modeled feature of the S600 2nd stage regulator is the Bench Area Control where it has an indication of Pre-dive and Dive Mode. By placing the control to Pre-dive mode, it allows some air back to the regulator diaphragm decreasing the chances of a free-flow incident and by switching it to Dive Mode, it basically allows optimum air to freely flow out of the mouthpiece. And finally for the mouthpiece, it has been re-modelled with a sof material giving you a softer bit. Further, it is retrofitted with soft rounded edges and a longer lug handles for a nice and comfortable mouth grip. One more thing, there are 4 versions of the MK25/S600 combo as re-styled in its 2013 version: the standard chrome plated, the Black-Tech version, the Titanium version and the special Gold-colored version to commemorate Scubapro’s 50 years in serving the diving industry. While they differ in material and color, the different version of the MK25/S600 all delivers the same outstanding breathing performance. Manufactured as a product line under the brand Scuba Choice, Palantic AS101 is an american made scuba regulator that is designed for use in the Pacific and Atlantic ocean conditions, where its product name was derived. Many have considered the Palantic AS101 a cheap and disposable regulator. However, if you try to look at their product specification and user review, it seems that “high quality performance” could be added as one of its features. The Palantic AS101 regulator combo package is offered in a lightweight and compact setting that only weighs a total of 4.1 pounds. If we try to breakdown the pieces that makes up this regulator combo package, you will see that the 1st stage regulator uses an unbalanced flow-by piston with a maximum working pressure of 3,500psi (232 bars). It has 4 low pressure ports that releases low pressure air at 135 to 145 psi. While this feature may come in similar with the Scubapro MK25, the 1st stage regulator of the Palantic AS101 only has a single high pressure port. Further, it has an environmental sealing that prevents internal corrosion, foreign substance contamination and possible freezing or icing of the internal components in case of extreme water temperature. As far as the 2nd stage regulator is concerned, many have recommended this regulator for beginners as you don’t need any adjustments on the air flow. Just take the mouthpiece on and the air will flow on demand as you inhale. This non-adjustable 2nd stage regulator of the Palantic AS101 is mounted on its 1st stage via black-colored low pressure hose with a standard 1-meter length. On the other hand, this regulator combo package comes with its own alternate air source or octopus that is mounted on a yellow-colored hose and a slightly longer low pressure hose measuring 36 inches. Both the primary second stage and the alternate air source has a large purge valve or button that may come in handy for beginners as you can easily press the valve where air can freely flow and may come in handy in terms of performing the regulator recovery skill. While the servicing of the Palantic AS101 scuba regulator can be serviced and done at any dive shop or at an accredited dive centre, the only problem encountered with this product is the availability of spare scuba regulator parts where you need to contact and reserve the parts through its mother brand, which in this case, is Scuba Choice. If you have been spending time searching the web for the best scuba regulator, you would have probably noticed that most regulator packages only comes with a 1st stage and a 2nd stage and that an alternate air source or octopus is usually sold separately. With this, we are presenting some of the best scuba regulator octopus in the market that is sold as an independent piece of scuba equipment. This nickel plated 2nd stage regulator employs the downstream demand valve system where air will only freely flow during inhalation and the valve will automatically shut off during exhalation. The regulator’s diaphragm is relatively flexible courtesy from its high quality silicone material. One good factor about the Hanperal Explorer Scuba Diving 2nd Stage Regulator Octopus is its minimal breathing resistance where you are given an optimum amount of air in every breath that can reach a maximum intermediate pressure of 145 psi. Although it employs one of the early models and systems of an alternate air source, many of its users have appreciated its “under-shin exhaust system” where bubbles, during exhalation, is directed to the side of the regulator and does not interfere with your underwater vision. While the Hanperal Explorer Scuba Diving 2nd Stage Regulator Octopus is consistent on the list of the top regulator octopus in the market, you need to take note of some of its disadvantages. First, as compared to new brands and models, the length of the low pressure hose is only 22 inches which is quite short when compared to the long low pressure hose of most modern octopus that may reach 36 inches and is vital during an emergency situation. Second, only the 2nd stage regulator is colored yellow and the low pressure hose is still colored in the traditional black undertone. This particular feature may become disadvantageous when it comes to an emergency as spotting a yellow colored hose is easier as compared to searching for a black colored hose that usually camouflages with our standard black colored wetsuit. You also have to take note of its threading and that it will not fit all 1st stage regulator. The Hanperal Explorer Scuba Diving 2nd Stage Regulator Octopus uses an ⅛ male NPT with a barbed fitting connector which is perfect only for an 8mm diving tube. While this may sound technical, asking your scuba outfitter would significantly aid if it’s a perfect fit or not. And finally, if there is one thing that really stands out about the Hanperal Explorer Scuba Diving 2nd Stage Regulator Octopus, is that it is both a second stage scuba regulator and a hookah regulator. Meaning, aside from being used by most recreational divers, it is also used in technical or commercial diving where the source of air may not necessarily come from a scuba cylinder, but rather, surface supplied. 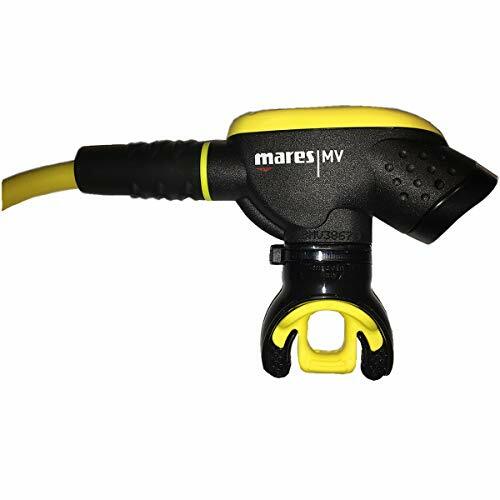 This light and compact alternate air source, made by Euro-Italian Company Mares, sits persistently as one of the top 10 scuba regulator octopus. Designed solely as an alternative air source and not as a primary regulator, the Mares MV Octopus Diving Regulator is the product of years of research and have undergone extensive testing, both in the laboratory and out in the wild open seas. 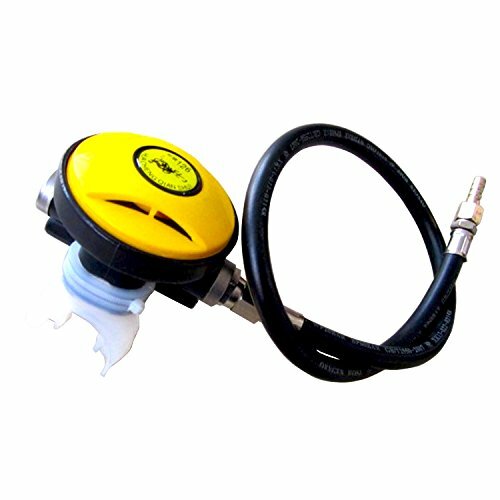 Contrary to your regular circular shaped regulator, the Mares MV Octopus Diving Regulator has a unique mini compact rectangular shape with soft edges on the side. It only weighs 3 pounds. The compact rectangular is not just designed without a purpose and this is the reason why it features a symmetrical shape where the octopus unit can be used either on the left side or the right side. When it comes to internal design, the Mares MV Octopus Diving Regulator is uniquely arranged employing the “Vortex Assisted Design”. This simply means that the internal parts are arranged in such a way that air will convey towards the mouthpiece in a swirling vortex of low pressure air that is mostly concentrated at the central portion. In this way, it creates a highly sensitive flow of air that equates to minimal breathing resistance. However, this design has both good news and bad news. The good news is that breathing resistance is put to the minimum regardless of depth. On the other hand, a slight pressure given to the diaphragm will cause the regulator to free flow even when not in use or still in its mouthpiece holder. This is evidently true when you perform a giant stride entry where the sudden gush of water pushes the diaphragm in causing a regulator free flow incident. But, other than that, the regulator relatively stays in the demand valve category where it only gives out air when inhaled upon. If there is one thing that really stands out with the Mares MV Octopus Diving Regulator is that it is nitrox compatible. It is specifically designed for use up to EANx 40 where air content from your scuba cylinder is significantly increased from the normal 20% to 40%. You should also take note the Mares MV Octopus Diving Regulator is only recommended for warm water diving and should not be used in extreme temperature, like when you go ice diving. This American made medium-sized high performance alternate air source is the preferred octopus by divers who wants an affordable yet rugged and reliable 2nd stage octopus regulator. While manufacture settings will tell you that the Aqua Lung Calypso Titan Octo best work with a Calypso or Titan 1st and stage regulator, many have shared their experience that it can suit and work in any brand or model, making it a highly versatile octopus regulator. Majority of its users told us that there are several features with the Aqua Lung Calypso Titan Octo that they prefer when compared to other brands and models. First, it is nitrox compatible up to EANx 40 where we presume you already know what a 40% increased oxygen content means. Second, it features an adjustable Venturini knob that can be adjusted to regulate the flow of air that can be adjusted to prevent unwanted regulator air free-flow. And lastly, as far as the low pressure hose is concerned, you can have the option to choose “Quick Connect” or “Classic connection”. Classic connection simply means that the low pressure hose is mounted on the 1st stage regulator via a swivel nut and tightened using mechanical tools. On the other hand, the Quick connect allows you to remove and re-attached the octopus without the use of a tool. A fully filled scuba tank has a pressure rating of 3,000 psi or 205 bars and breathing directly from it may cause injury, especially in our respiratory tract, as we are only adopted in breathing normal atmospheric pressure set at 1 bar. Breathing high pressure air from a scuba tank is only possible with the use of a scuba regulator where it functions as a pressure reducer. Scuba regulator works by reducing high pressure air to an ambient pressure at two specific levels. Initially, when you turn on the valve of the scuba tank, high pressure air will gush in to the First Stage Regulator. Except for a single high pressure port of the first stage regulator which has a pressure equal of what is inside a scuba tank, low pressure air is delivered out to the low pressure ports releasing an ambient pressure of 250 to 300 psi (17 to 20 bars). However, despite being significantly reduced, the air pressure from the low pressure port is still high that it can possibly damage our respiratory tract. This is where the Second Stage Regulator comes in to play. From the low pressure port of the first stage regulator, low pressure air is led to the second stage regulator via a low pressure hose. By this time, you should know that all your pressure hoses are low pressure hose, except for the submersible pressure gauge which uses a high pressure hose that can withstand 5,000 psi (345 bars). A typical regulator has 4 pressure hoses. One high pressure hose for the submersible pressure gauge, 2 low pressure hose for the second stage regulator and another low pressure hose for the buoyancy compensator device. Now focusing on the second stage regulator, the intermediate pressure coming from the first stage regulator is reduced giving an ambient pressure of 15 - 20 psi (1 - 1.3 bar). At this phase, the air given by the second stage regulator is now breathable where its pressure rating is the same as the atmospheric pressure that we are used to breathe on land. You should also take note that second stage regulators are classified as demand valves. Meaning, air will only come out of the regulator once the diver inhales. Although there are instances of a “regulator free-flow” which is possibly caused by damage of the second stage diaphragm or intrusion of foreign objects like sand or rubble. And lastly, in order for the second stage regulator to be comfortably used and air will gently flow out inside your mouth while creating a watertight seal, all second stage regulators are fitted with a flexible mouthpiece. Having your own scuba regulator does not come cheap. Due to the complexity of its mechanisms, regulators are often an expensive piece of scuba equipment and purchasing the right regulator for you would equate to your money’s worth and a well spent savings. Regulators are designed to address a specific need a diver may be exposed when he or she goes diving. Take into consideration depth and temperature. Most scuba regulators can function at any depth, however, there are some regulators that are designed to function at higher water pressure such as when you go deep diving. Most regulators can function at any temperature range, however, there are some regulators that can function perfectly below the freezing temperature point such as when you go ice diving. Usually, these types of specially designed regulators are heavier compared to an average unit. So, really, the key here is to know first what kind of diving you will be exposed to and that it will become the basis of selecting your regulator. There is no point of having a regulator for ice diving when you will be exploring the underwater habitats of Asia and the rest of the Tropics. A typical scuba regulator is composed of a first stage regulator, high and low pressure hoses, submersible pressure gauge, a second stage regulator and an alternate air source second stage regulator commonly known as the octopus. But as the sport of diving has become a specific science, instruments and accessories are added on and configured allowing a diver to explore a specific kind of underwater environment. DIN or Yoke Valve - the valve of the first stage regulator can be modified depending on the configuration you want. 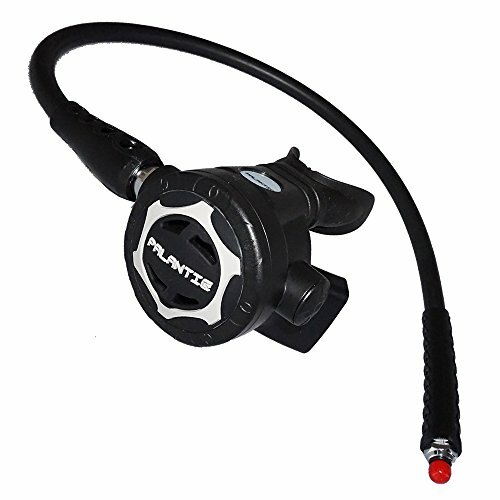 Commonly, scuba regulators are fitted with a yoke valve that partners and fits to a yoke-fitted scuba tank valve. On the other hand, you have the option to choose DIN valves for the first stage regulator which is designed for deep and cold water diving. But you have to remember that DIN valves can only be fitted to DIN-fitted scuba tank valve. Just in case you have a different valve configuration, a DIN to Yoke valve adapter would do the trick. 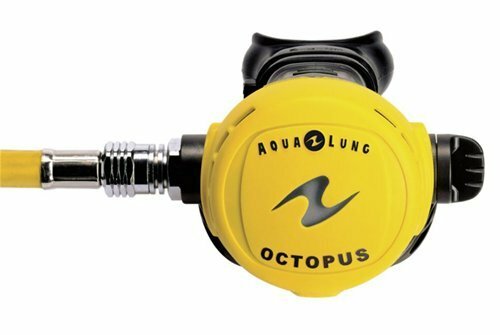 Alternate Air Source - also called as an octopus, many have considered the alternate air source as an accessory to a scuba regulator. But technically, it is a mandatory piece of scuba equipment. 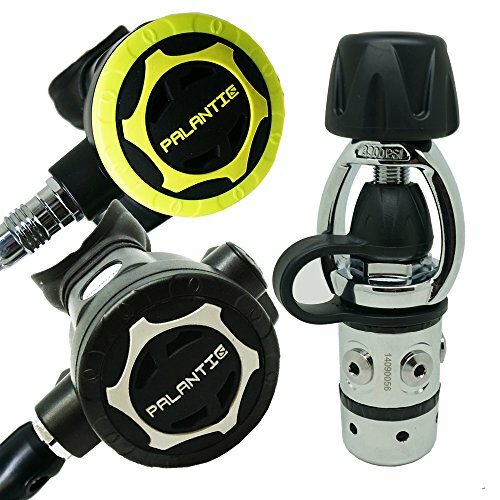 Most brand new scuba regulators out in the market are only configured with a first and second stage regulator together with its corresponding low pressure hose. So you have to make a separate choice on your alternate air source. They often come in a longer and brightly colored hose that is usually yellow including the second stage regulator and comes with a keeper or holder. Choose: Long or Short low pressure hose? Standard size for most low pressure hose are 1 meter in length and 1.2 meters for the alternate air source. However, there are specially made low pressure hose that are long and can go as long as 3 meters. If your dive profile would involve simple reef diving, then we recommend you choose the standard length. However, if you are into the technical aspect of the sport, like cave diving, then having a longer low pressure hose would be appropriate. All scuba regulators are mounted with a submersible pressure gauge, otherwise without one, you have no way of determining the tank’s air content. A submersible pressure gauge can be a standalone equipment. But as diving equipment evolves, submersible pressure gauge are now integrated into a console that may come together with a depth gauge and/or a compass. Some console are retrofitted with a dive computer where a simple glance will give you an indication of your underwater time, maximum depth, current depth, temperature and surface interval. New age dive computer does not need the mounting of high pressure hose and a console. Instead, they are worn on the wrist and hose-less. 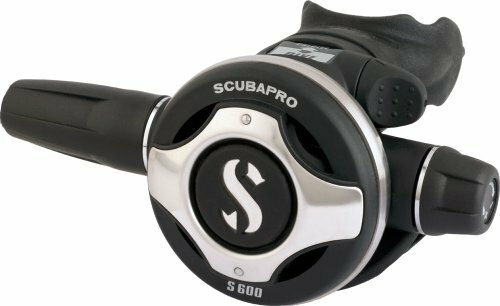 A scuba regulator is a life-support system and many have considered not to restrict their budget in purchasing a brand new regulator. Well, for us, the budget that you need to prepare will depend on the instruments, accessories, modifications and brand that you want. In other words, a basic scuba regulator will function underwater the same way a high-end regulator will do. To give you an example: a typical regulator equipped with a submersible pressure gauge and depth gauge integrated in a console will function as the same compared to a state of the art scuba regulator mounted with a transponder for the hoseless wrist-type dive computer. In short, technology is expensive. At the end of the day, what we are presenting are just reviews of various scuba regulators and octopus popularly sold in the market. And remember this: there is no such thing as a perfect regulator, specially if it doesn’t meet your needs and requirements. It all boils down to what specification you want and the type of diving environment you will be exposed to.